Vincents Random Waffle: To a child, often the box a toy came in is more appealing than the toy itself. I think Allen Klein might not have been referring to me when he said that but I do seem to like creating boxes for my toys. 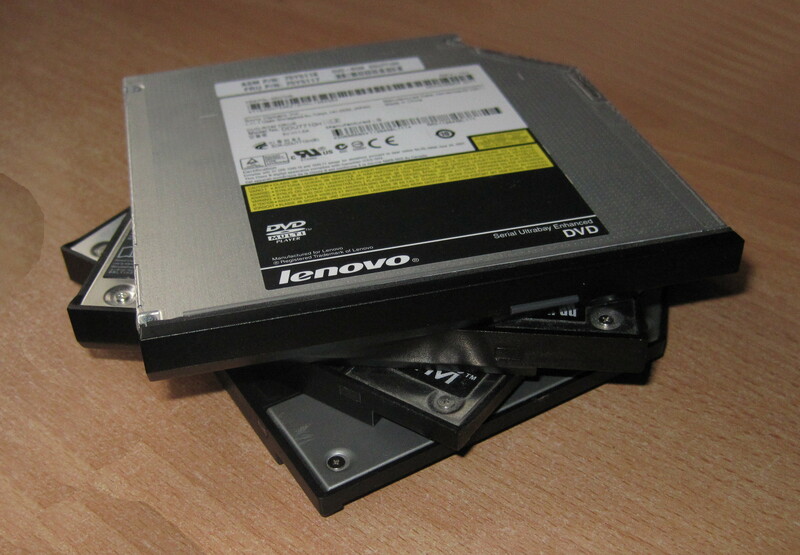 My Lenovo laptop has an Ultrabay, these are a way to easily swap optical and hard drives drives. 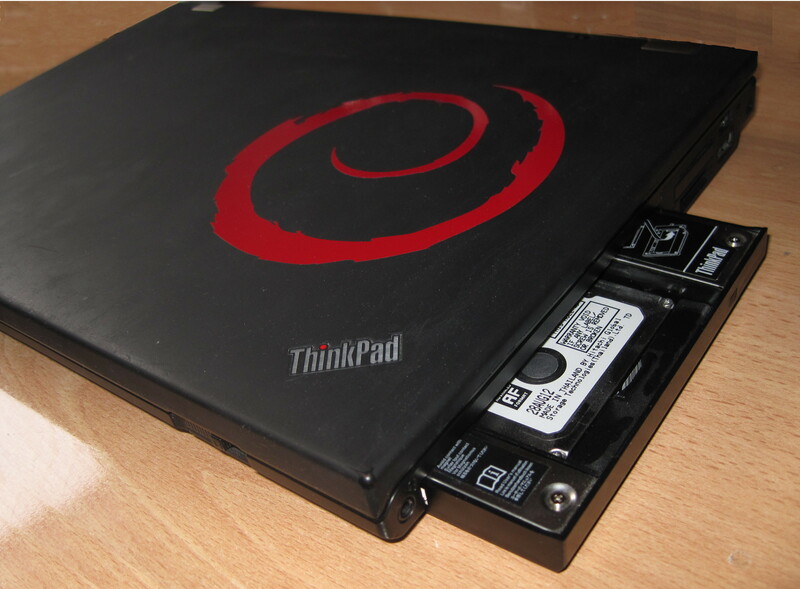 They allow me to carry around additional storage and, providing I remembered to pack the drive, access optical media. 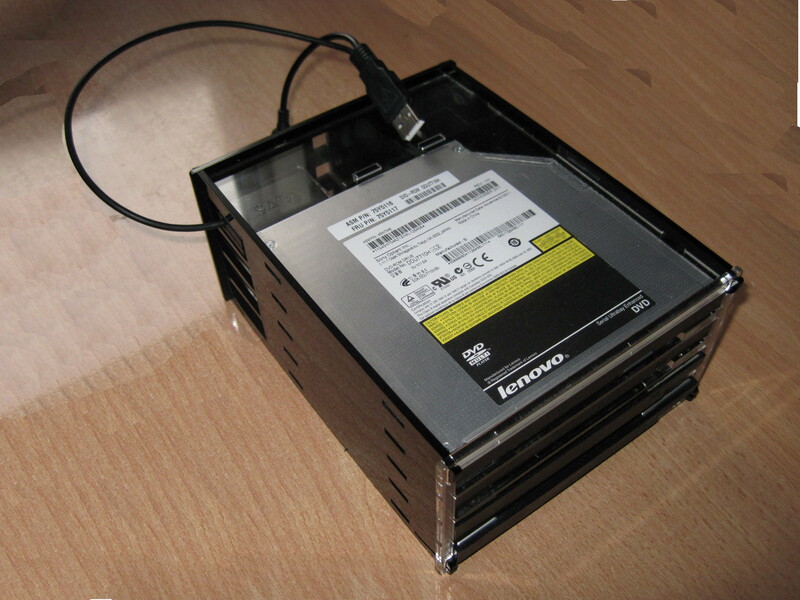 Over time I have acquired several additional hard drives housed in Ultrabay caddies. Generally I only need to access one at a time but increasingly I want to have more than one available. Lenovo used to sell docking stations with multiple Ultrabays but since Series 3 was introduced this is no longer the case as the docks have been reduced to port replicators. 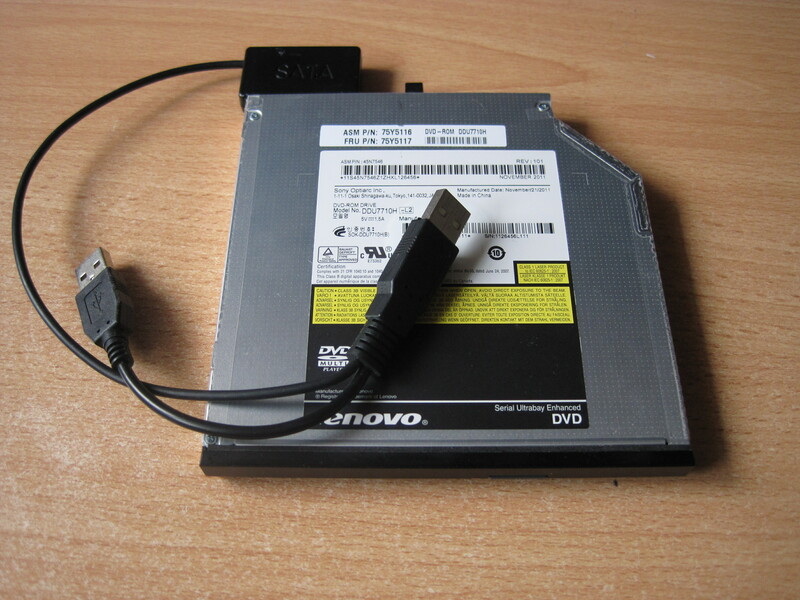 One solution is to buy a SATA to USB convertor which lets you use the drive externally. However once you have more than one drive this becomes somewhat untidy, not to mention all those unhoused drives on your desk become something of a hazard. Recently after another close call I decided what I needed was a proper external enclosure to house all my drives. After some extensive googling I found nothing suitable ready to buy. Most normal people would give up at this point, I appear to be an abnormal person so I got the CAD package out. 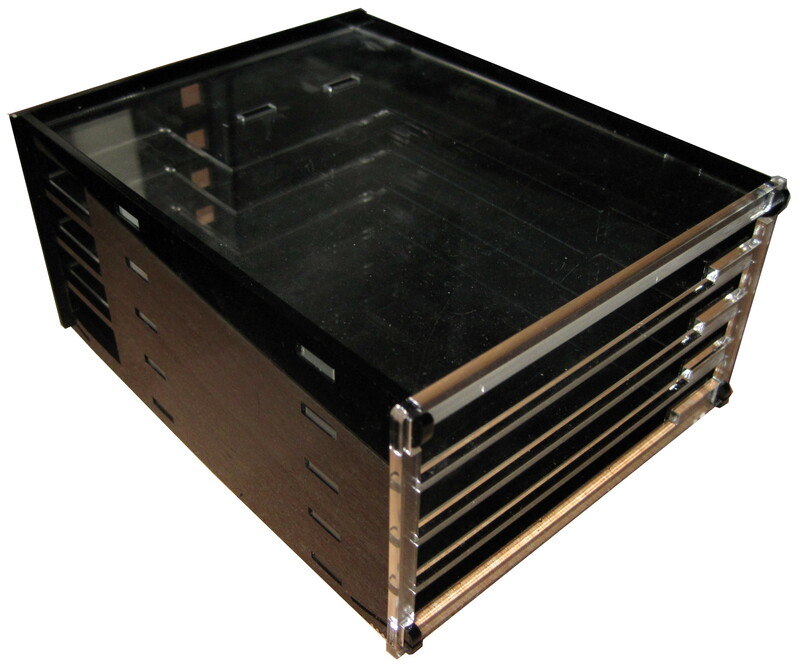 A few hours of design and a load of laser cutting later I came up with a four bay enclosure that now houses all my Ultrabay caddies. The completed unit uses about £10 of plastic and takes 30 minutes to lasercut. The only issue with the enclosure as manufactured is that Makespace ran out of black plastic stock and I had to use transparent to finish so it is not in classic black as lenovo intended. As usual all the design files are publicly available from my design repo. Looks slick! But there are three dxf and only one png, and it would be really handy to have those files as SVG..
Well the PNG was supposed to be a simple overview rather than be a design file. Does your software not cope with DXF files? If you think it will be helpful I can look at providing SVG but I do not know how accurate the conversion would be. I'm just using inkscape to do my lasercuts.. ATM it's inkscape -> coreldraw and then lasercutting. Going to check out how this work in the weekend, thanks for the conversion.